This Almond Joy Brownie recipe came to me by way of social media. It caught my eye from the “get-go” because I love Almond Joy candy bars. I tried the recipe and found it to be a absolute delight! However, take my advice and bake brownies in a 9X13 dish verses muffin tins to prevent a ooey-gooey goodness mess. Preheat oven according to box instructions. Grease a 9X13 baking dish. Mix brownies according to box instructions. Pour in prepared dish. Bake 12 minutes. Meanwhile, in a mixing bowl combine the sweetened condensed milk, coconut and milk. Mix well. Top brownies with the coconut mixture. Bake another 14 minutes. Cool. 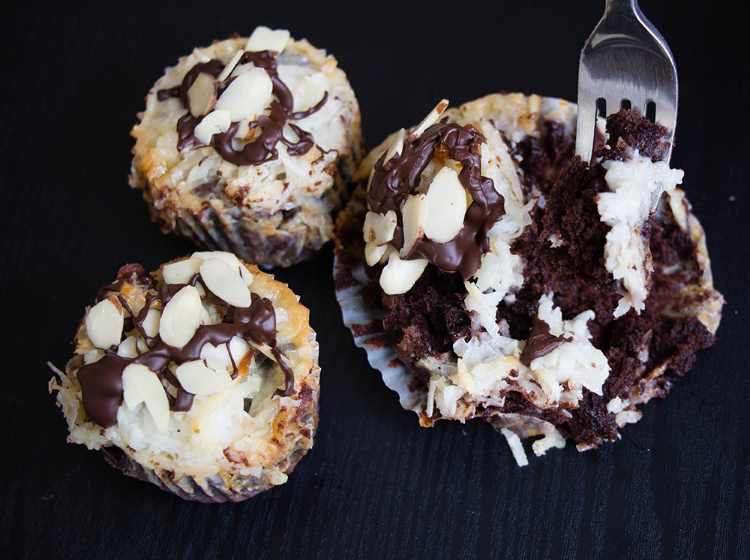 Drizzle with melted chocolate and sprinkle with almonds.